So, my girlfriends and I are going to try canning next week. Most of us have never really done it before (or, in my case, ever at all), but we’re an optimistic crowd, so I’m sure we’ll be fine…partly because we are avoiding those pesky little botulism buggies by not even trying tomatoes. One of my friends cans dilly beans that are WONDERFUL in a Bloody Mary; they’re spicy, tangy, and obviously, a vegetable- so must be healthy! Anyway, last year after having a few of her delightful dillies, we decided to have a group canning event. Well, it took us until now to finally get it on the books. Next Friday is when it’s all going to come together and I’m going to make my own dilly beans. Yay! I plan to be a regular domestic diva with the canning after this experience, so I bought an appropriately marketed canning cookbook and I spent a little time this morning reading through the intro to gain some understanding of what it is we are doing and what materials we need. 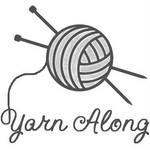 I decided that realistically, one can’t expect to become a domestic canning diva without a little background knowledge. What I’ve learned so far (besides that tidbit about tomatoes and the resulting recognition that as a non-detail person, I should NEVER can tomatoes unless I have someone doing it with me) is that canning isn’t a science; although it actually is a science. I read a lot of stuff about acids, pectins, boiling temperatures, and anaerobic organisms, but this wonderful cookbook assured me that I will be able to can fresh fruits and vegetables without truly needing to know all the specifics. It did a good job of letting me know which specifics mattered and which nouns and verbs I only need to remember in case I’m ever at a Canning Diva Convention and encounter Martha Stewart. Odds are that won’t happen, so I probably won’t even worry about trying to remember those at all (the more you read, the more you think it’s good I’ll be canning with a group?). 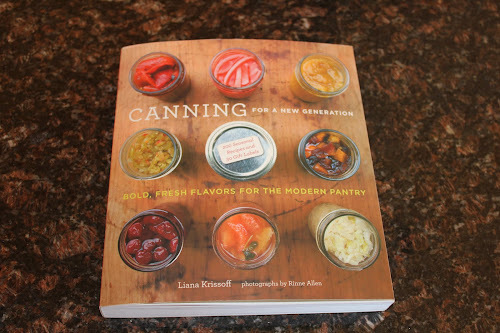 The cookbook I bought is called,“Canning for a New Generation: Bold, Fresh Flavors for the Modern Pantry” by Liana Krissoff and it’s even available as an eBook! It has recipes like “Peaches in Vanilla Syrup” and “Cabernet Sauvignon Jelly.” See why I bought the cookbook?! ?